The fifth day saw over a dozen artistes performing, with maestros like Pandit Birju Maharaj and Dr Prabha Atre weaving their magic on an adulatory audience. 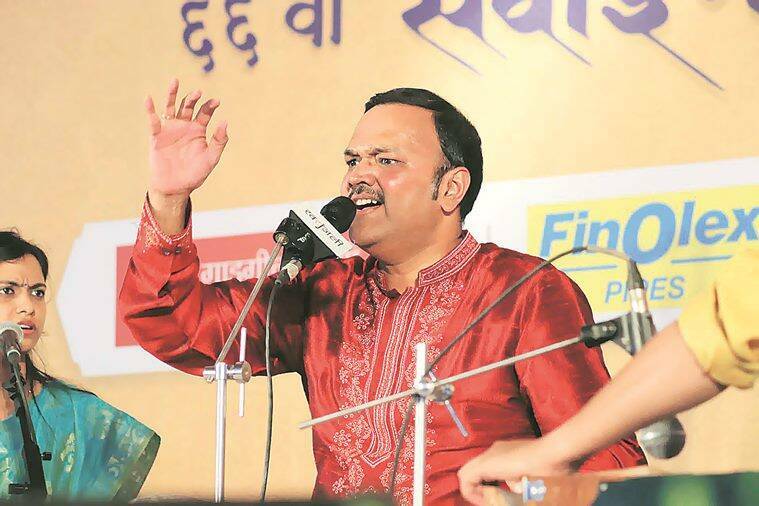 After treating Pune residents to spectacular classical musical performances for five days, the 66th Sawai Gandharva Bhimsen Mahotsav came to an end on Sunday. The fifth day saw over a dozen artistes performing, with maestros like Pandit Birju Maharaj and Dr Prabha Atre weaving their magic on an adulatory audience. On Sunday, the audience was welcomed with the soulful gayaki of vocalist duo, Arshad Ali Khan and Amjad Ali Khan. Sharing a stage for the first time, the brothers began their jugalbandi with a bandish in raga Shuddh Sarang. Arshad, termed the ‘little ustad’ by legendary vocalist late Pandit Bhimsen Joshi when he performed in Sawai in 1993 as a nine-year-old, along with his brother, mesmerised the audience with their rendition of Sant Tukaram’s abhang, Dnyaniyancha raja, guru maharaj. They were followed by another vocalist duo, Pallavi Joshi and Apoorva Gokhale, who began with a melodious afternoon raga, Gaud Sarang. Joshi, skilled in the gayakis of Gwalior, Jaipur, and Agra gharanas, and elder sister Gokhale, an expert in khayals and blending of alaaps, presented their power-packed jugalbandi to the audience. Next up was the jugalbandi of violin and veena by Indradeep Ghosh and Nirmala Rejasekar. Beginning their performance with Ganesh Vandana in raga Hansadhwani, and moving onto a sawal jawab between Pandit Ramdas Palsule on tabla and Thanjavur Murugaboopathi on mridangam, the quartet delighted the audience with their performance. They were followed by vocalist Pandit Sanjeev Abhyankar of Mewati gharana, who performed his compositions in raga Poorvi, and sitarist Pandit Prateek Chaudhuri of Senia gharana, who presented raga Marwa in his own, newly created Hanumant taal. Ragini Maharaj, the granddaughter of illustrious Kathak dancer and exponent of the Kalka-Bindadin gharana, Pandit Birju Maharaj, and his senior disciple, Saswati Sen, were the next performers. Dedicating their performances to late Pandit Joshi, and breaking into tears in his memory, Maharaj and Sen presented impeccable kathak performances in several bandishes. 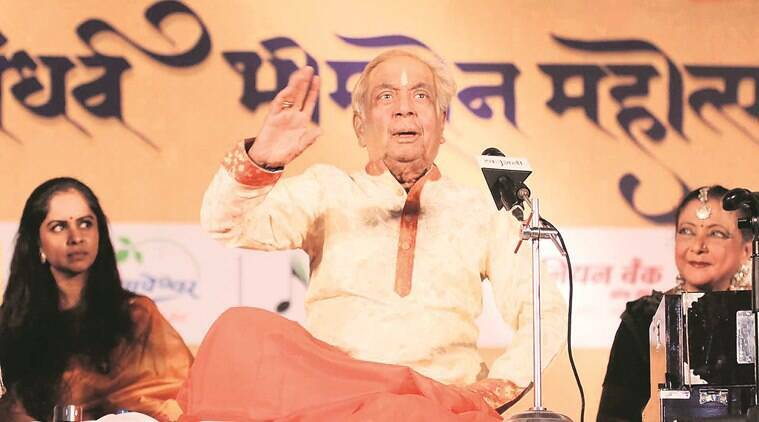 Later on, appearing on stage amid roaring applause and a standing ovation, Pandit Maharaj presented his father, late Acchan Maharaj’s thumri, Jane de maika, as the audience followed every swara and bhava of the composition. On request, Maharaj also sang a rendition of Tuch karta ani karavita, leaving the audience wanting more. The final day saw the presence of prominent personalities like Pune’s Guardian Minister Girish Bapat, Pune Mayor Mukta Tilak, and Marathi film actor, Subodh Bhave among the audience. The festival’s final musical note was by Dr Prabha Atre, the legendary doyen of Kirana gharana. Proficient in thumri and khayal styles, Dr Atre concluded the festival on a high note.